Maroon 5′s Super Bowl dilemma? NEW ORLEANS (AP) — The New Orleans Jazz & Heritage Festival is adding rapper LL Cool J to its 2018 lineup. Organizers announced the addition to the bill on Tuesday. He will perform on Friday, May 4. The event is scheduled April 27-29 and May 3-6 at the New Orleans Fair Grounds Race Course. NEW YORK (AP) — Clive Davis' pre-Grammy gala is so white-hot you can't purchase tickets, and he said it has been hard letting some longtime attendees know they won't be invited back. Davis' Saturday night event, held a day before the 2018 Grammy Awards, launched the careers of Whitney Houston and Alicia Keys, and have featured all-stars like Aretha Franklin, Carole King, Smokey Robinson and Carly Simon. He first held the gala 42 years ago. NEW ORLEANS (AP) — Aretha Franklin, Sting, Aerosmith, Beck, Jack White and Lionel Richie are among the headliners for the 2018 New Orleans Jazz and Heritage Festival. He grew up listening to Motown music and said it’s always had a special place in his heart. Bruce Cornell Webb, who for decades owned a record store where well-known musicians pulled up in limousines and snapped pictures with customers, died of cancer on Thanksgiving Day at Sacred Heart Home in North Philadelphia. He was 83. “We have one picture with Grover Washington Jr.,” said Edna Brown, Mr. Webb’s longtime companion. Other artists who she said visited Webb’s Department Store were Smokey Robinson, the Temptations, Miles Davis, Richard Pryor and Dianne Reeves. Stan Broder went to Heaven on Monday, Nov. 20, 2017. Born into a Jewish family, he was completed in his Messiah after his soul-searching trip to Europe and Israel to find out what it meant to be a Jew. NEW YORK (AP) — Smokey Robinson, Jimmy Fallon, The Roots, Common and Andra Day will be among the stars celebrating at Macy's Thanksgiving Day Parade in New York City. Macy's said Wednesday that Tony winner Leslie Odom Jr., 98 Degrees, Flo Rida, Wyclef Jean and Miss America Cara Mund also will participate in the 91st annual parade on Nov. 23. They started in New York in the ‘50s with Jerome Anthony Gourdine as the lead singer. To the audience’s delight, Little Anthony and the Imperials will take the stage at the Keswick Theatre in Glenside on Oct. 7. 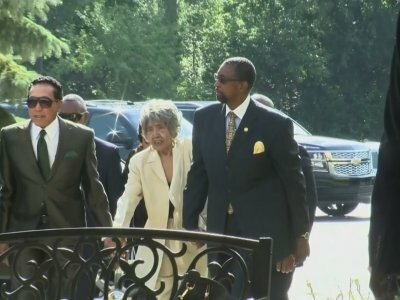 DETROIT (AP) — The public will be able to celebrate Detroit's musical history by taking part in an estate sale and live global auction of the contents of the "Motown Mansion." While it was annoying, it didn’t bother me too much. My wife, on the other hand, is a warm weather lover. She was not impressed. Dear Mexican: Los Marijuanos played at Seattle Hempfest years ago. Are they like the best pro-hemp Mexican band out there? Are there other Mexican hemp-related bands or products out there that I don’t know about? WASHINGTON (AP) — Tony Bennett, the beloved and durable interpreter of American standards whose chart-topping career spans seven decades, has been honored with this year's Gershwin Prize for Popular Song. EL DORADO, Ark. (AP) — A planned $100 million entertainment district in El Dorado has a new name as the city gears up for a grand opening later this year. The entertainment district will be called the Murphy Arts District. The first phase of the project is a music hall, amphitheater, restaurant and children's play area. The second phase is a $32 million renovation of the 1920s Rialto Theater plus the creation of a new art gallery, exhibition hall and artist-in-residence quarters. Ethan Bortnick is a typical 16-year-old, juggling school work and a job, thinking about his future and giving back to his community. But he does all this as a powerhouse performer, who has rocked the keyboard since he was a boy. James Corden is making a Motown Records documentary. 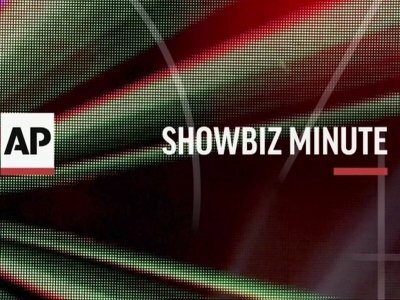 The 'Late Late Show' host has lined up stars including Stevie Wonder, Diana Ross, Smokey Robinson and label founder Berry Gordy, to help him tell the story of the legendary record label for a new film made by production company Fulwell 73. A source told The Sun: "The story of Motown Records is fascinating and will make an incredible documentary. The fact they have managed to get Berry Gordy on board is really impressive. 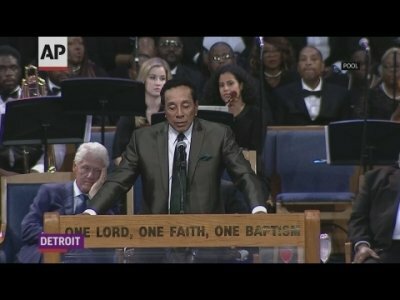 DETROIT (AP) — Motown star Smokey Robinson has reflected on his humble Detroit roots while accepting a prestigious lifetime contributions award in Washington, D.C.
Robinson received the Gershwin Prize for Popular Song amid multiple standing ovations from an audience filled with political dignitaries at DAR Constitution Hall, the Detroit Free Press (http://on.freep.com/2f4QBD2 ) reported. This show is fresh, funky, bold, fun and challenges your imagination like no other circus. UniverSoul Circus embraces and celebrates the unique and familiar aspects of urban pop culture globally by bringing them center stage with a cast of international performers that reflect the cultural diversity of the world in which we live. For more information, visit universoulcircus.com. Stamford’s Palace Theatre is where fans of country music icon Martina McBride will be this weekend. McBride, who has a new album, “Reckless,” will perform there on Friday, Nov. 11, as a benefit for Dana’s Angels Research Trust, also known as DART. The Multiple Myeloma Research Foundation (MMRF) 2016 annual Fall Gala was held at Hyatt Regency Greenwich on Saturday night. Anne and David Ogilvy, husband and wife of Greenwich, were honored with the Spirit of Hope Award during the event that was MC'd by American boxing legend Sugar Ray Leonard. Motown legend Smokey Robinson was presented with the Courage & Commitment Award. Musician Ceelo Green headlined the event.